The intention was to get a little walk, talk and look for a photo to post for the G+365 Project with a girlfriend of mine. While looking for something compelling to photograph, across the street I saw some nice artwork on the side of a building. I looked at the front of the building to see the name of the business which was Decatur CD. Girlfriend and I decided we would stop in for a second on the way back to the office. Why on earth did we do that? 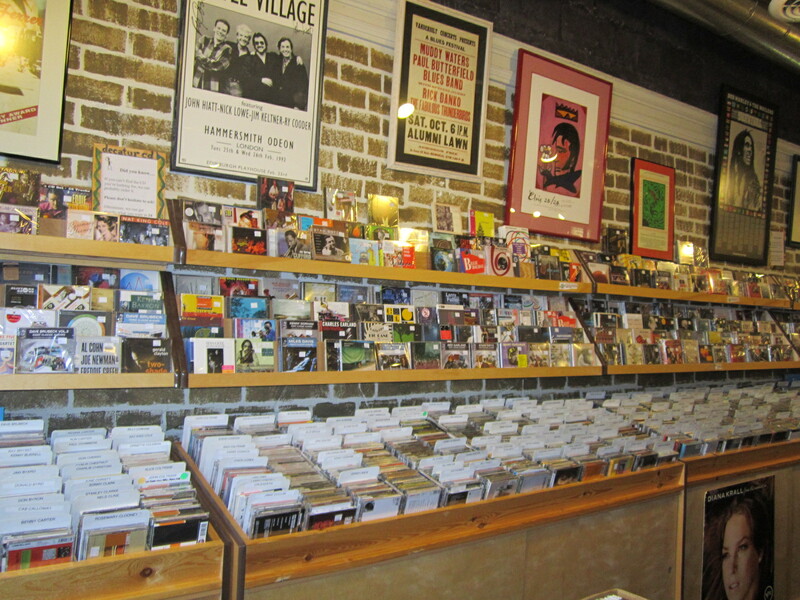 The place gets no interior design points but it gets MASSIVE points for its music collection and the memories it invokes of the neighborhood record shops of old. 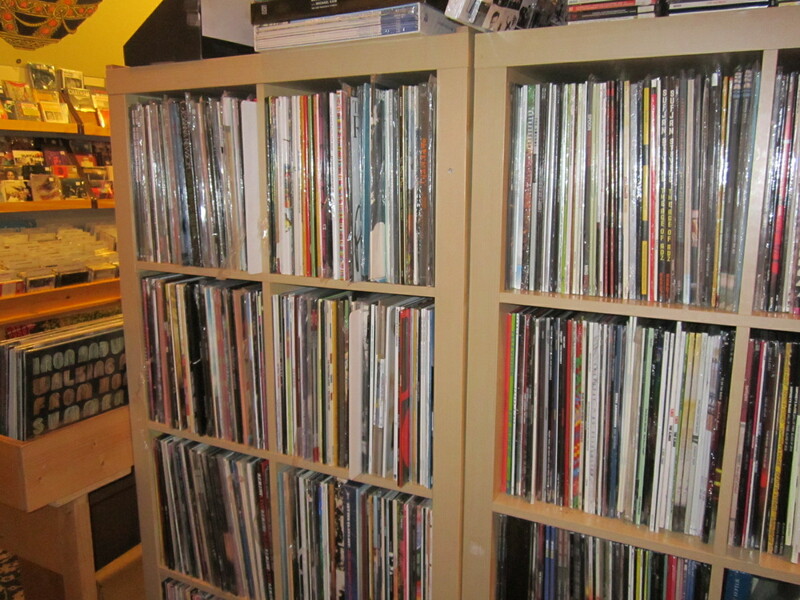 They have CDs and Vinyl which collectors will surely enjoy. What made me particularly excited was the jazz collection. Being a worshipper of the Emperor Coltrane, the jazz section was my first stop. A large portion of my Coltrane collection was on cassette, all of which was discarded over a decade ago with the intention of replacing these items by either recording to CD my father’s vinyl (which is massive) or re-buying everything on CD. Digital was never an option for Coltrane as I MUST HAVE the liner notes to see the musicians and as well as the where and when of the recording. Low and behold two of my favorites (well they all are) were in the stack, Impressions and Africa/Brass. Since I didn’t have sufficient funding I hustled my tail back to the office to get my card and went back to make the purchase. The store owner’s sales records are decidedly old school, notebook and pen. He said, “this is how we kept track of everything before computers.” (He does have a credit card machine). I’ve got no qualms with the way he keeps records as long has he has good music, I’m good. If you’re in the neighborhood, go check out my man at Decatur CD and forget about leaving there empty handed. Note: Africa/Brass was my first listening selection. When I heard those first bass notes of the intro, I went into a FULL SHOUT in the car. Not a privacy expert, but is there anything we can do about it?